Earlier this week, the Consumer Financial Protection Bureau announced it would be issuing new guidelines for mortgages and how they’re ultimately approved and sold. The goal, it said, is to reduce risky lending while making it better for both consumers and lenders. One day after these new rules were unveiled, complaints are making the rounds, with most of them saying the rules do more for lenders and less for consumers. CFPB was part of President Obama’s 2009 CARD Act and since its founding, it’s pushed for safer financial products for consumers, including credit cards, student loans and payday loans. It’s had impressive victories and was able to maintain its place at least for another four years after President Obama was elected this past November. Under the new rules, when a loan meets new lending criteria, which was redefined and rewritten by the CFPB, it gains the title of a “qualified mortgage”. The new rules offer an “ability-to-repay” provision that keeps banks and other lenders from issuing mortgages to people who are unable to provide definitive proof that they can afford the loans. The complaint from some advocates is that these new rules put into place a so-called legal shield that protects banks while working against the consumers the rules are supposed to be protecting. the complaints began rolling in. Already, it’s being argued that the one stipulation that will likely cause most problems is the area that requires all lenders to “reasonably ensure that the borrower has the ability to repay the loan based on the circumstances at the time the loan is made”. Therein lies the problem: who or what defines this? Lenders will, of course, see tax-returns, W-2 forms and pay stubs, which eliminates in their entirety the stated loans that caused so many problems. But without clearer expectations of the how “reasonable ensure” is defined, it’s bound to cause problems. Another point of confusion is how a “Qualified Loan” is defined. It’s presumed that the would-be homeowner would have met the requirements, but there’s no distinction between subprime and prime mortgages. And what about refinances? If the lender declines a loan stating it can’t qualify it, what if the borrower can afford it in a subprime scenario? Is the lender then in violation of truth in lending laws? One attorney with the National Consumer Law Center says the new mortgage standards “invite abusive lending and erode the progress made by Dodd-Frank.” The argument is that there exists too much opportunity for lenders to issue unaffordable or unrealistic mortgages, even if the consumers meet those initial rules. 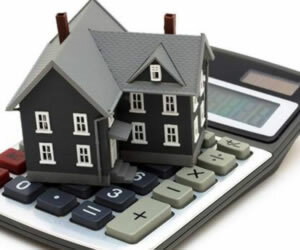 Another concern is that lenders may still make mortgages that account for up to 43% of an applicant’s pre tax income, which is a recipe for foreclosure and has been proven time and again over the past several years. The loan would be in compliance, but it would still be challenging, if not impossible, to maintain the mortgage and insurance payments. said John Taylor, president of the community activist group, the National Community Reinvestment Coalition. His group fought against these new rules and especially the part of the guidelines that removes a borrower’s rights to sue their lenders who allowed them to enter into mortgages they couldn’t maintain. You may recall that prior to 2008 and the subsequent financial downfalls, lenders had relaxed their approval processes to the point that they were allowing creditors with credit scores in the 500s to buy a home with no money down and worse, they weren’t even requiring loan officers to verify the information the applicant’s used on their mortgage applications. Not everyone is displeased with these new rules, though. Many lenders are now saying these new guidelines will allow them to begin loaning money again with more confidence. said Paul Leonard of the Financial Services Roundtable. Unfortunately, what they’re not saying is that they’re willing to begin issuing loans again – especially because they’re not in jeopardy of being sued. On the other hand, nuisance lawsuits had become a major problem for lenders. Lawyers were more than happy to file lawsuits against banks and other lenders on behalf of their clients/mortgagees due to ‘minor filing errors’. The new laws, say the lenders, will prevent these useless lawsuits. Even worse, the new rules have no definitive guidelines for underwriting, which prevents millions from buying a home today. With so many stipulations, homeowners are not only finding a series of declines, but even those looking to refinance their mortgages in an effort to consolidating credit card debt, student loan debt and other debt are also finding nothing but rejections. These new rules simply don’t take any of that into consideration. The borrower must provide documentation of his assets, income and the ability to repay the loan. They must provide proof of employment and their credit scores must meet minimum yet to be defined standards. They must also be able to show they can maintain their current financial obligations while taking on a new mortgage – such as credit cards and student loans. They must also be able to cover homeowner’s insurance, the additional tax burdens and other expenses that come before the loan closing (appraisals, termite inspects, etc.). Finally, the mortgage cannot exceed 43% of the borrower’s pre-tax income. As many know, Dodd Frank actually set up the requirements that creditors were to make “reasonable” and “good faith” efforts of ensuring a consumer could actually afford that credit card, or car loan or mortgage. CFPB had sought to expand one specific area of the law, known as Regulation Z, which implements the Truth in Lending Act (TILA). The Bureau took to proposing specific new amendments to the final rule implementing these requirements, including exemptions for certain nonprofit creditors and certain home ownership stabilization programs. It also wanted to better define a “qualified mortgage” for some loans, especially those made by smaller creditors. It went about its business by opening up a comment and feedback time period so that input could be made by consumers and lenders alike. The “Ability to Repay and Qualified Mortgage Standards Under the Truth in Lending Act (Regulation Z)” was born of these efforts. The new law was passed on January 10, 2013 and does not go into effect until January 10, 2014, though the Bureau is encouraging lenders to begin implementing the new rules right away. So what are your thoughts? Do these new guidelines instill confidence in you as a consumer? Is it just what you’ve been waiting for to ensure your home buying process is safer? Share your thoughts with us in the comments or join the conversation on Facebook.